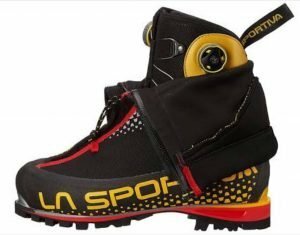 How good are La Sportiva G2 SM climbing boots? Although I have climbed a few mountains, I still feel a tad wary of describing myself as a “mountaineer”. 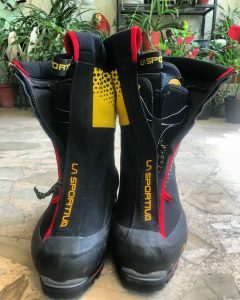 So this review of my new La Sportiva G2 SM climbing boots might not be full of pukka technical terms, but it most definitely comes from the heart. By way of background, I started climbing very late in life, and most of my recent climbs have been in the 6000m+ range, and all of them in the Himalayas in India (where I live), and they have all brought me huge joy. 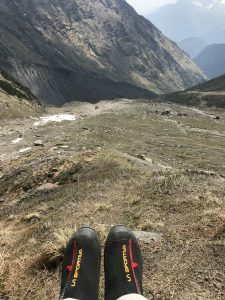 The only blot on my climbing horizon had been using hired climbing boots, which are usually heavy to carry and to wear, and exhausting to lace up, especially on summit night, when fingers inextricably turn to thumbs, and nerves are at their most tightly-wound. As a not too experienced climber, I came to dread putting on and lacing up the double boots I would rent. So in April this year I invested in a pair of La Sportive G2 SM boots and my life has changed for ever. They are THE most wonderful boots ever. I am beyond in love with them. 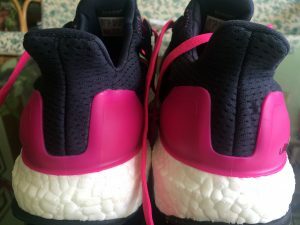 If the truth be told, I fell in love with them the moment I unboxed them. But there was that $64,000 question – did these beauties need breaking in? I imagined they did, BUT I had less than a month between purchase and leaving to climb Banderpoonch, a mountain in Uttarakhand in India. 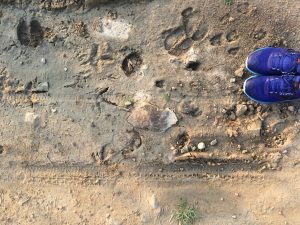 I live in Delhi, where May temperatures are in the upper 30sC/low 40sC, so there was no way I was going to go for a walk in my boots, to break them in. 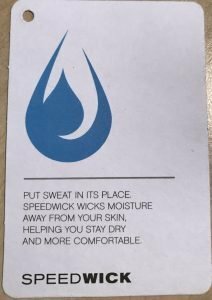 I’d probably have passed out from the heat. So I wore them a couple of times inside the house, clumping round inelegantly in shorts against the heat, and wearing my boots. And then off I went to climb, secretly wondering if I was being foolish & was going to suffer from blisters or other aches and pains, having not worn my boots enough. No need to worry at all. These beauties were like slippers from Day One. 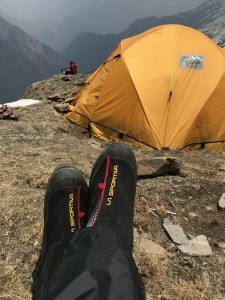 I wore them on an acclimatisation hike up from our Base Camp to Camp One, and the boots were fabulous from the word go. This was the only time I wore them before we hit the snow and the proper climbing started. Comfortable, super easy to put on, and oh-so-blissfully easy to lace up. I never had one moment’s discomfort or stress in these boots. Not one. They were easy to put on, requiring none of the contortions I remember from the hired double boots. 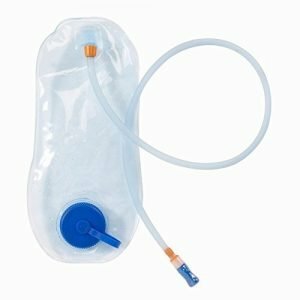 The inner is super easy to put on, and fastens with Velcro, and so is easily and painlessly adjustable. They weigh next to nothing, and each night I’d pop them inside my sleeping bag and we were all as warm as toast. 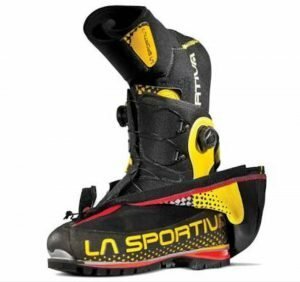 The outer boot…what total and utter bliss the La Sportiva G2 SM Boa lacing system is. 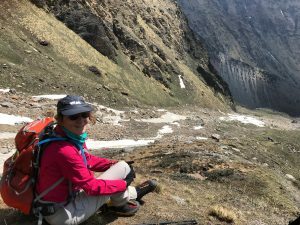 It is so easy and simple, and is perfect for folks like me, who get slightly stressed on summit night. 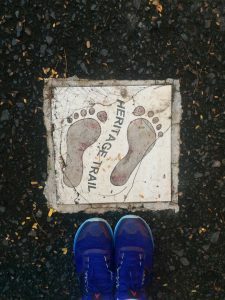 On earlier climbs, I remember beginning to hyperventilate as I tried to bend over and lace up first the inner and then the outer boots, with all my layers of clothes on, in the cold, and inevitably in the middle of the night. 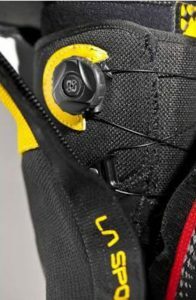 2.Snap the outer boot tight – the Boa lacing system is super easy to use, with 2 dials allowing you to adjust the tightness of your upper and lower feet. 3.Zip up the incorporated gaiters and you’re A for Away. Here is the one and only Simone Moro (the SM of the name) talking about these boots. They were light to wear, and so (obviously) light to carry. They were blissfully comfortable and stress-free to put on. And – call me shallow – I think they are pretty cool looking. 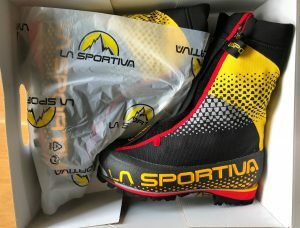 I bought the boots myself, and neither the supplier nor La Sportiva knows that I blog and review. 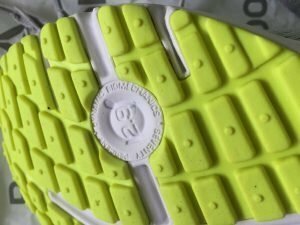 So, to answer the question I posed in the title of this review – how good are these boots? They are wonderful. Totally, 100% recommended. So shocking is the air quality in Delhi, where I live, that a Christmas present of a PM2.5 detector was a great hit. 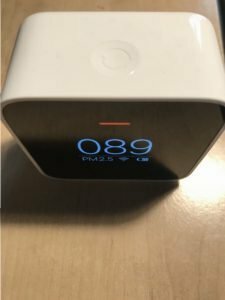 Our son brought us the Xiaomi MIJIA PM2.5 Smart Detector Air Quality Monitor from China, where he lives, and it is the easiest gadget to set up and use. Literally just charge it – it uses a standard micro USB – and you’re A for away. There is a light that is green when the PM2.5. level is within acceptable norms, and a red light which we have seen far more of, sad to report. On/off button. All very easy-peasy. Since it is super light, you can easily carry the detector with you. 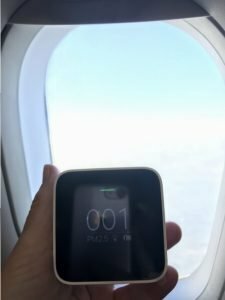 We did, taking it to the Andaman Islands, to test the air quality there, and also testing the air on board our Vistara flight. Pretty pure, I have to say, as you can see from the photo below: Back here in Delhi, we move it from room to balcony to room, watching in horror as the levels shoot skywards whenever we step out onto our plant-filled balcony. 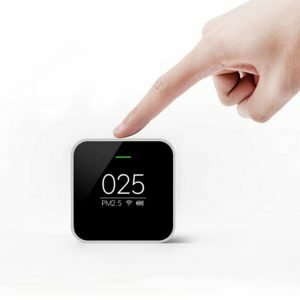 In my other blog, christinepemberton.me, I shared a short video of our monitor recording the changing AQI level as I walked out onto our balcony – the video shows you just how super easy it is to use & interpret the data. A useful addition to your house, especially if, like me, you live in a polluted place. It gives you real-time, personalised info, and you can plan your course of action accordingly. Finally I got my act together (thanks, Catriona) and not only visited the Crafts Museum after aeons, but also had lunch in the absolutely adorable Cafe Lota, situated just at the entrance to the museum complex. Been meaning to go there forever, and it was every bit as charming as I’d heard. Like the whole Crafts Museum complex, there was a distinctly retro feel to the place. A calm, unhurried, un-pushiness, which was balm to the soul. Here’s a link to a post I wrote about the Crafts Museum. 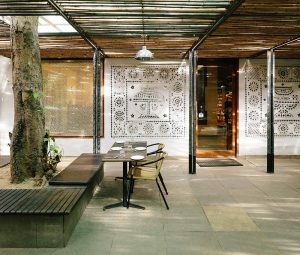 I decided that if ever I should be so lucky to live in a home with a large courtyard studded with trees, I think I’d like to make a similar space as Cafe Lota has done. You sit under trees, but are roofed in. The food was interesting, and that is meant positively. Indian, but Indian nouvelle-cuisine-y with interesting things on the menu – like mushy pea rotis which, as a Tyke, I obviously had to have. 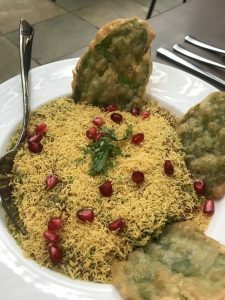 I’ve never been a chaat fan, after a horrid experience in what was then Bombay in the lovely early days of getting to know India. 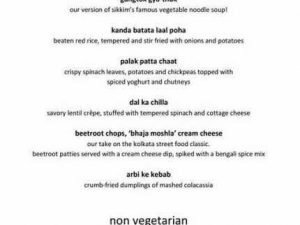 Scarred for life, I swore off chaat for decades. The occasional try over the years didn’t make me change my mind, and yesterday’s dish was fine, but actually, I’m still not a fan. Catriona loved it, so it’s clearly me. We had sole cooked in mustard which was heavenly, so heavenly I forgot to take a photo. Nice, different, interesting, but a tad awkward to eat, if I’m being honest. But yet again, the fault is all mine. 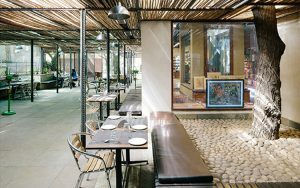 Loved the vibe, loved the feel of the place and will definitely plan a return visit. Great service – un-pushy, un-hassle-y, smiley. I paid the bill myself, and did not mention that I blog or review. 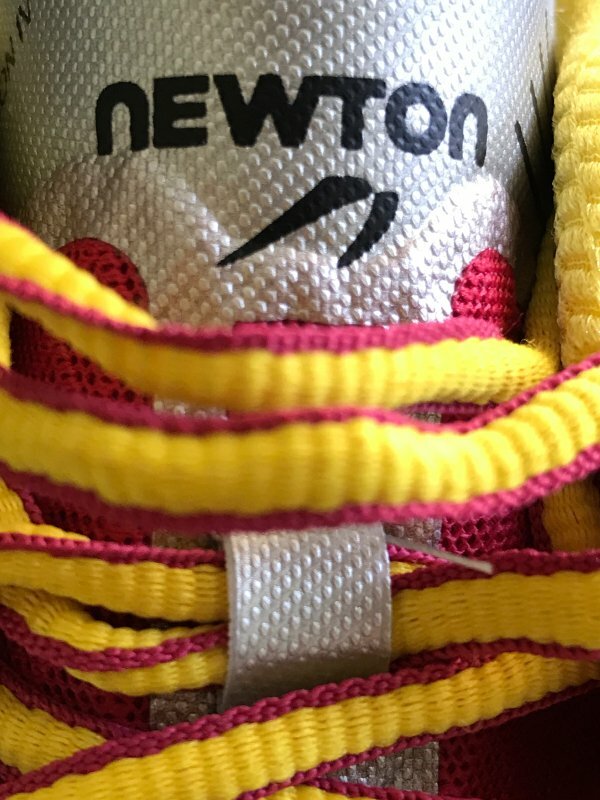 Exactly 3 months ago today, on 1 April, I won a pair of Newton Motion IV running shoes in a lucky draw in New Delhi, India, where I live. (SO not an April Fool, then!). 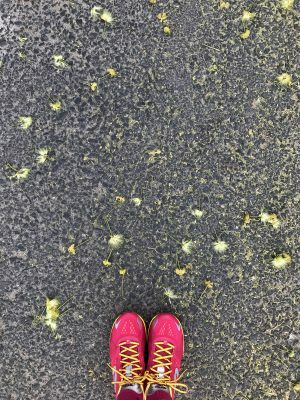 As my lovely shoes turn 3 months old today, and have probably racked up some 200km since, it’s time to share my thoughts on these beauties. Because, let’s not fool ourselves, these shoes are beauties. 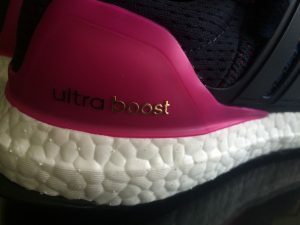 They are a fab colour, and there are so many cool design features – yes, I know they are also super technical and functional features, obviously, but there are details which are stylish as well. 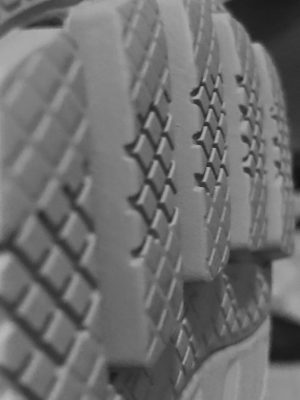 The shoe felt instantly comfortable from Day One. There was not one second of “new shoes” feeling. 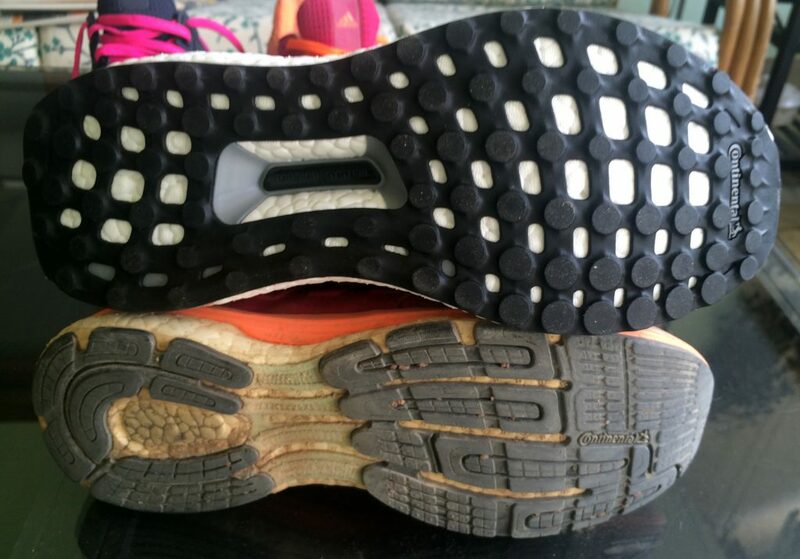 The lugs really do make a difference – I feel lighter when I run in these shoes. I know that’s a horribly untechnical expression, but it’s truly the way I feel – lighter and bouncier. 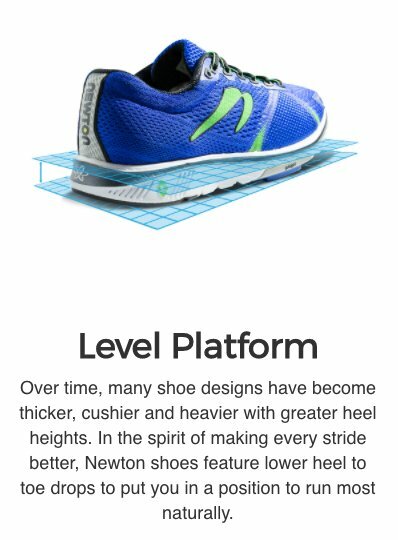 Another great feature of these shoes is the heel cushioning. It’s also super stylish, in keeping with the whole look of these shoes. 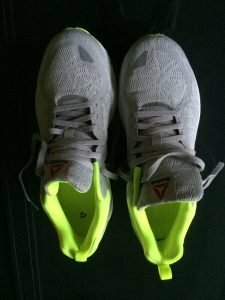 I do not use these shoes every day, but alternate with the other shoes in my cupboard, but when I return to my Motion IVs, I definitely feel as though my feet are more protected and “surrounded” – does that make any sense? 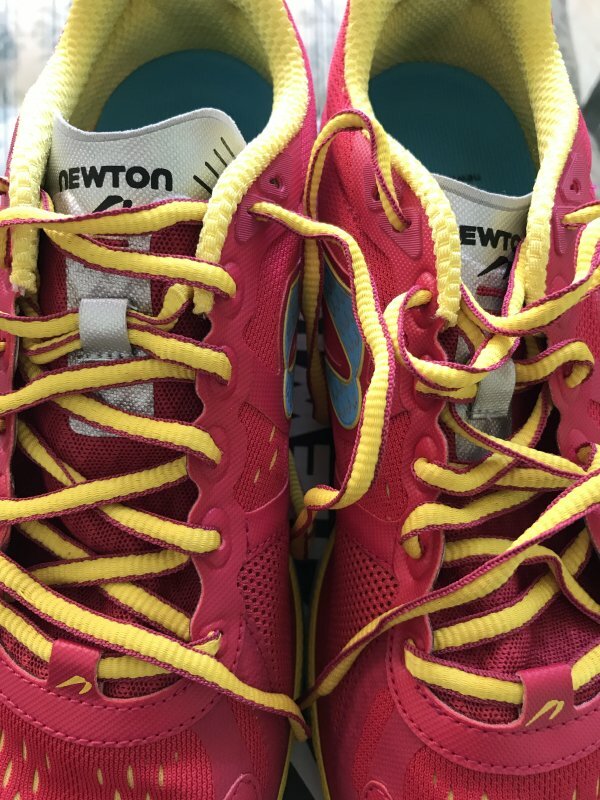 Though I won these shoes, neither Newton nor the organisers of the lucky draw asked me to write anything, and I came under no pressure whatsoever to review them. 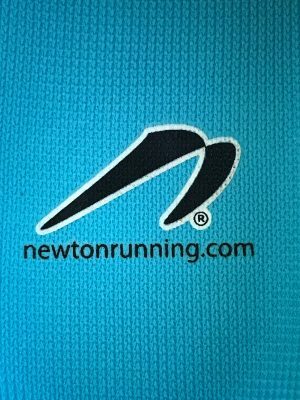 Will I buy Newton in the future? And happy 3 month anniversary to us! Late September & Delhi is at its worst. Hot, humid, the fag-end of the monsoons – which explains all that heat and humidity. 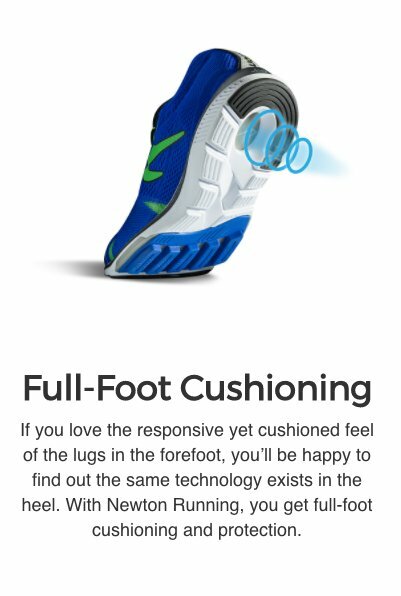 So, of course, that is exactly when I decide to buy some new running trousers, and test drive them (as it were) in such an unforgiving climate. 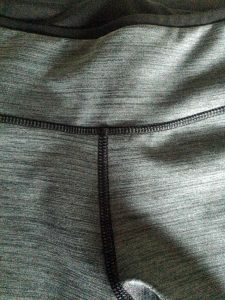 Because I’d just bought some Reebok running shoes, I decided to try out their clothing range as well, and bought a pair of reversible running shorts – well, more capri-length to be exact. 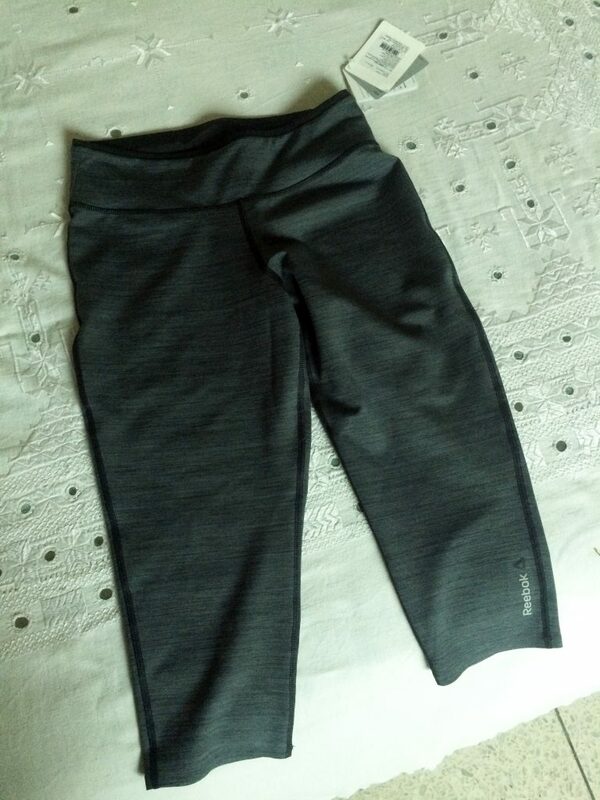 I have subsequently used these running shorts at least twice, if not thrice, a week since then, and 2 1/2 months on from humid September, I am every bit as pleased with them, and they show no sign of wear and tear. 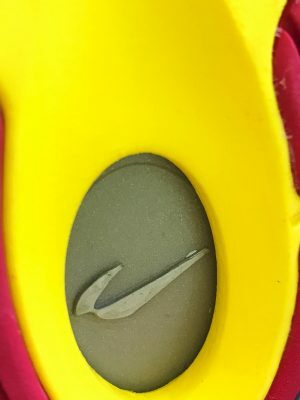 It was stitched on in such a way that removing it was easy. My only cavil – I do wish there was a pocket. I bought & paid for the trousers myself, and no-one in Reebok knows that I blog. 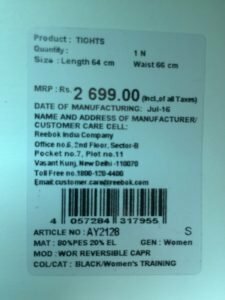 They cost Rs 2699 (in late September 2016). 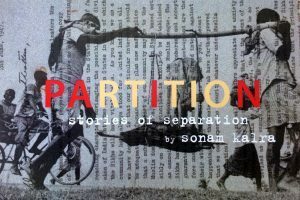 “Partition Stories of Separation” was performed for the first time at Delhi’s India Habitat Centre in front of a sold-out audience this weekend. 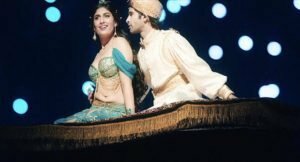 A show devoted to the trauma and sorrow of Partition was never going to be easy viewing and there were moments of great sadness. Great, heart-wrenching sadness. 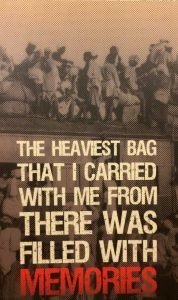 When the elderly Sikh spoke about the death of his sister, I could hardly breathe, it was so raw and painful. 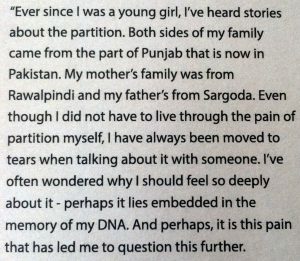 This trauma is part of the DNA of the subcontinent and it has to be commemorated and shared, especially with the gradual passing of the brave generations who lived through the horrors of Partition. 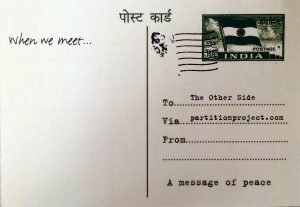 Through song, and poetry, and interviews with amazing people who lived through Partition, this traumatic period of history is brought to life by Sonam Kalra, Salima Raza and Sonam’s team of amazing musicians. But for me, what moved me the most, was not so much the looking backwards at history, but the positive looking forward towards peace and reconciliation. And here the energy and thrust of a younger generation with a different mindset was in evidence. 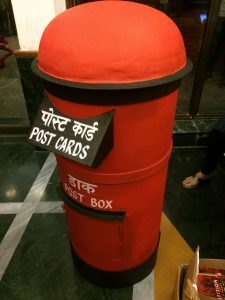 There were cute, quirky touches, such as a “postbox” for the postcards for Pakistan. We were even given pens, ensuring that there we all had no excuse not to write. A pile of old luggage in the entrance to the auditorium spoke volumes. 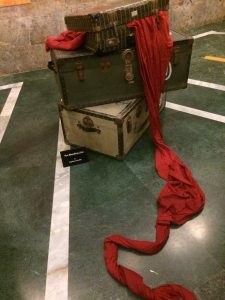 Shabash to Sonam Kalra for giving voice to painful memories, but than anything for presenting the pain with so much love and, most importantly, hope. 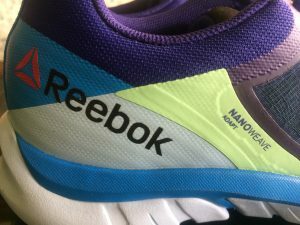 This is a slightly unusual review since it deals with 2 different Reebok shoes, one of which I had to return due to a flaw. 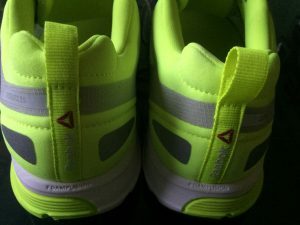 On 28 June 2016 I bought a pair of Reebok Z Strike Elite shoes from the Reebok store in DLF Mall, New Delhi, India. 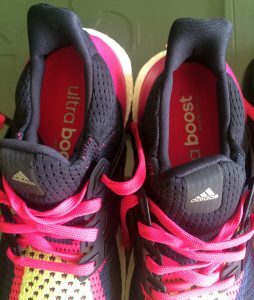 I now possessed 3 pairs of running shoes (#takingmyrunningseriously) and since I was part of a #100daysofrunning challenge, and therefore running every day, I rotated between my reeboks and 2 pairs of Adidas shoes. 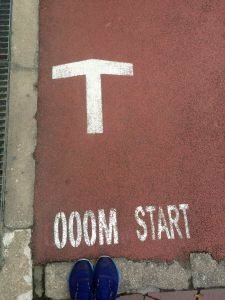 I was running an average of 10k per day, but not wearing any pair of shoes on 2 consecutive days. 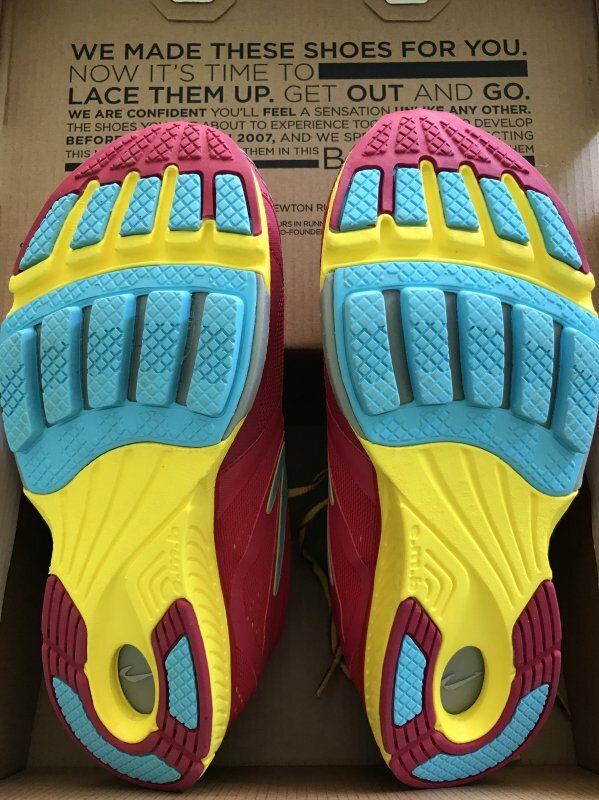 From the very first run, these shoes felt comfortable, great and cushion-y (is that a technical term?) and very light. No teething problems, no blisters, nothing. From Day One I loved the Z Strike Elite, and instagrammed to that effect. 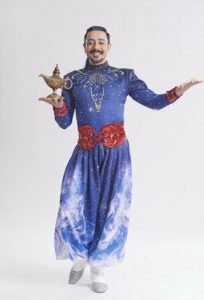 Here you go, just a few images. 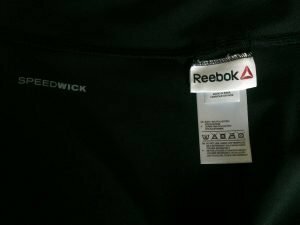 I contacted Reebok – and this part of my review now covers their customer service. 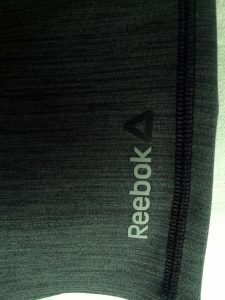 5 August: I email Reebok, sending the photos I have just shown you (above). 7 August: I sent a copy of my credit card statement. 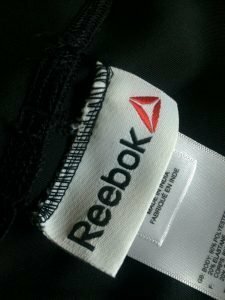 9 August: Reebok replies asking me to get a duplicate invoice from the store. 10 August: I went back to the store in DLF mall, where they kindly printed out a duplicate invoice in no time at all, which I emailed to Customer Care. 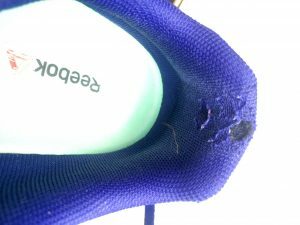 11 August: Reebok email me to say I could go ahead and claim my replacement shoes. Score card for Customer Service? They were quick, polite and efficient, as indeed were the staff in the shop. 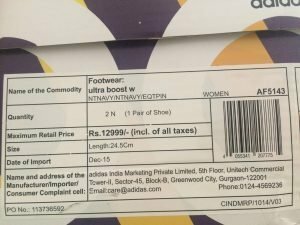 BUT sadly the much-loved Z Strike Elite were no longer in stock, & so I had to get a different shoe, and pay around Rs3000 on top, since the sales are over. 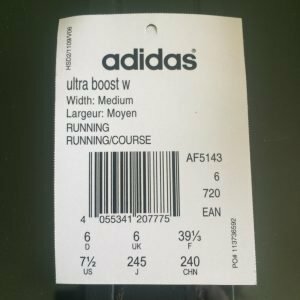 I did my first run in these shoes this morning, and first impressions? 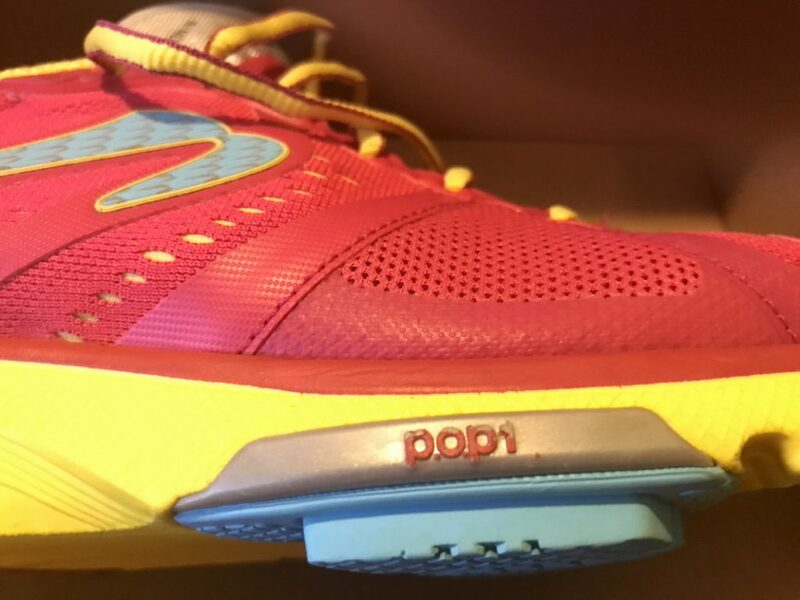 They felt as cushion-y and bouncy and comfortable from the word go as the Z Strike Elite. Now, though, I shall watch the heels like a hawk, hoping there isn’t a repeat performance. Has anyone else experienced this? 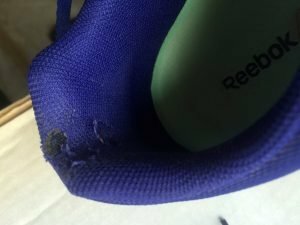 The inner lining wearing out so quickly? The store manager suggested it might be because I kept my shoes laced and pushed my feet in and out. I absolutely don’t, and told him so. 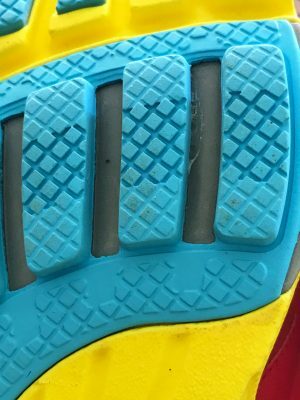 So I actually have no explanation as to why the Z Strike Elite wore out so soon. 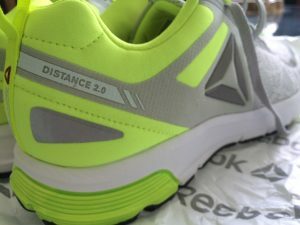 Anyway, onwards & upwards as they say – and let’s see how the One Distance 2.0 perform. I’ll post a follow up review in a few weeks. 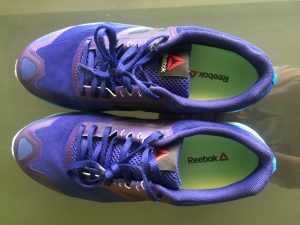 Neither Reebok nor the store knew that I blogged and I paid for the shoes myself. 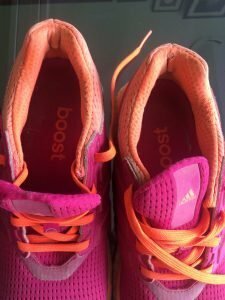 I sadly retired my Adidas Supernova Glide 6 running shoes a month ago – boy, how I loved those funky colours – and replaced them with (yet) another pair of Adidas. The ritual “out with the old and in with the new photo” follows, a comparison which always makes me feel sorry for my old, well-loved, slightly battered looking, soon-to-be-discarded shoes. 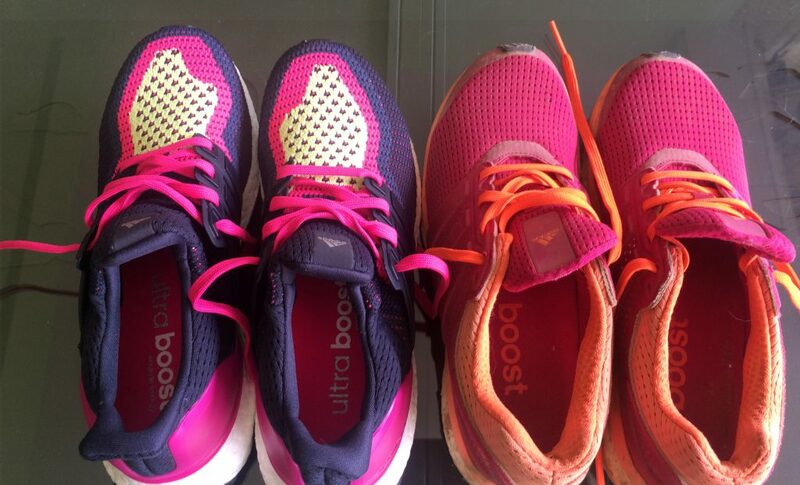 Actually, rather than feeling sorry for my old shoes, I feel disloyal. Disloyal, after hundreds of kilometres together. 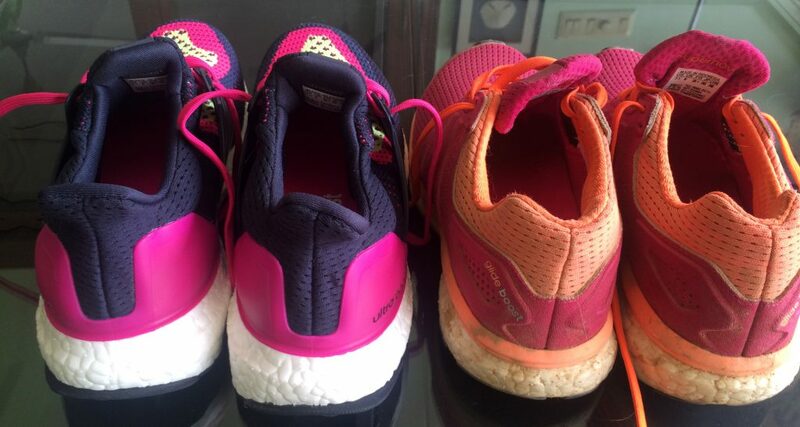 The Ultra Boost are every bit as comfy and easy to wear as the Supernova Glide 6, but there is one thing I prefer in the latter – the fact that there is a tongue. As opposed to a rounded, moulded shape – can you see from the photo below, that there isn’t a separate tongue per se? 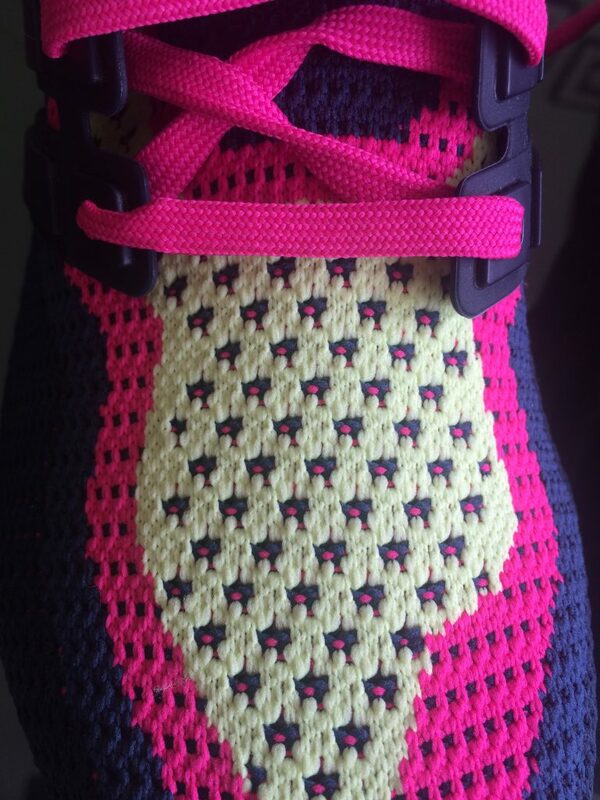 It’s purely personal – I have a high instep, so the tongue fitting is easier to put on. But that’s it, as far as “criticism” goes, and the lack of a tongue is hardly a criticism, to be honest. 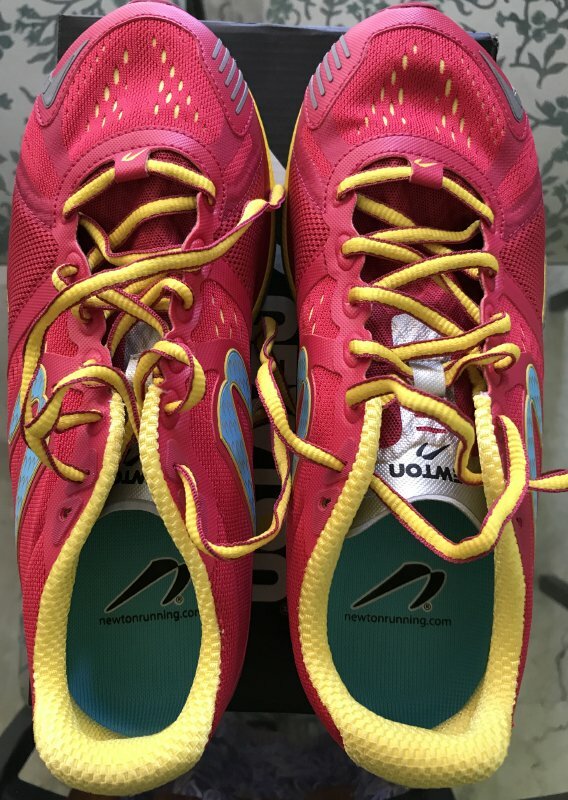 There is nothing like the first few runs with brand new shoes- you definitely feel as though you have a spring in your step. Prime-knit is used and makes for a snug, comfy fit. Given the amount I’m running at the moment, these shoes are already well run in, after exactly a month. 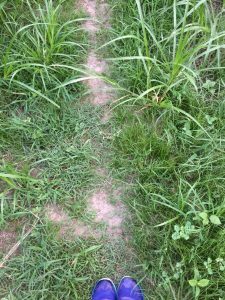 I’m taking part in a #100daysofrunning challenge which, for those of you who don’t know Delhi in the summer, is a major challenge. 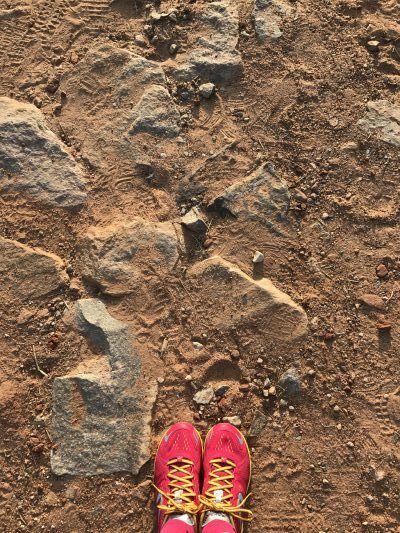 It is blazingly hot, the rains haven’t yet come, and so this challenge really pushes us all to get out there and run, 43C temperatures notwithstanding. My first run in these new shoes was exactly a month ago on 4 May and today, 4 June, I have notched up some 235km already. 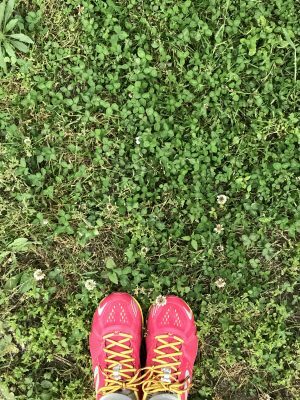 So, yes, I might only have had these shoes for a month, but I can safely claim that I like them and enjoy running in them. I bought the shoes myself. Running in Delhi’s killer summer heat means that hydration is beyond a must. It is, without exaggeration, a lifesaver. 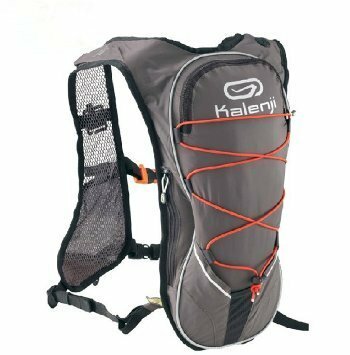 I usually run with a handheld water bottle, but it doesn’t hold enough for the searing temperatures these days, so I have switched to using my Kalenji 2L backpack, and what an all round improvement. Firstly, I have way more water available, but almost as importantly, because I’m not gripping a bottle, I am running more relaxed. I set out every morning at about 5.30/5.45 at which time I don’t need my cap, so into the pack it goes. 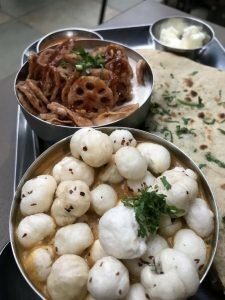 A small snack – inside the pack. My mobile phone goes into a zipped compartment, accessible from both sides, and the head-phones have their own exit. Way safer than having the phone in my hand. Can’t think why I haven’t been using this backpack every day. 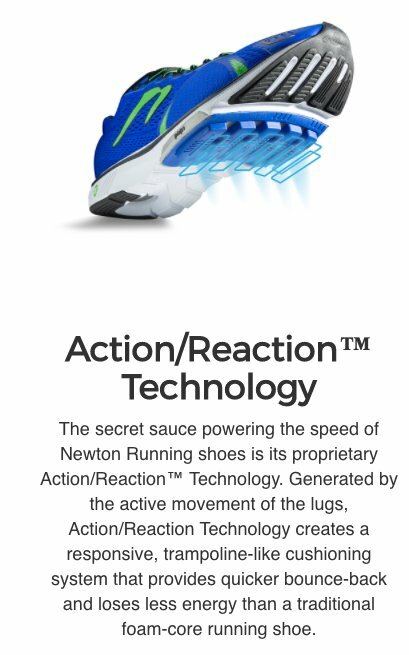 Certainly makes for more streamlined running. I bought the backpack myself, and told no one that I blog.